It is still possible to make the Australian government act to prevent the illegal extradition of Julian Assange to the U.S. and, instead, bring him home to Australia. Should they fail to act, they must be held to account at the forthcoming federal elections. UN rules: "Julian Assange arbitrarily detained by Sweden and the UK, UN expert panel finds"
Inside is the text of the public statement issued by the UN expert panel on Arbitrary Detention, which you will not find in most mainstream publications, which are seeking to obfuscate the UN opinion and its importance, with their own opinions. Julian Assange is a Victorian-born Australian citizen and asylum-seeker, recognised as a refugee by the UN. The Ecuadorian Embassy in London granted him refugee status, but the UK government stopped him from going to Ecuador by taking his passport and surrounding the embassy with police, day and night. What did Assange do? Assange famously published, on his Wikileaks, authentic film of US soldiers hunting down civilians with helicopters and machine guns as if they were in a video game. 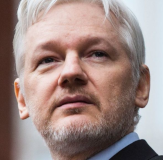 Read more about UN rules: "Julian Assange arbitrarily detained by Sweden and the UK, UN expert panel finds"
Melissa Parke, ALP Member for Fremantle, West Australia, was the only MP to dissent against the passing of the new so-called anti-terrorism laws in Australia, which make huge changes to our privacy and civil rights. I don’t have kids but I am disturbed about the Heart Foundation’s Active Healthy Kids very poor report card for Australian children last week. It said that Australian children are largely unfit because of a lack of exercise and that this deterioration has happened in the last couple of decades. Natasha Schranz author of the Foundation's inaugural report has graded Australian children at a disgraceful D minus. Contributing to this terrble score was a D for "active transport", meaning not nearly enough walking or bicycle riding to and from school. Video inside of nearly 4000 Victorians protesting re this legislation on March 6, 2014. "We believe that this harsh legislation is completely unnecessary in a society which is continually being undermined and is struggling to maintain work and environmental standards. This legislation is a further and heavy blow to democracy placing ordinary citizens in a position of increased likelihood of coming up against the force of the law for simply using one of the few weapons left, the right to congregate to demonstrate a point." - Jill Quirk, Sustainable Population Australia This article includes an annotated first and second reading of the Bill, with links to speeches against it and to Human Rights legislation in Victoria. We have published Part 2 of the Victorian Charter of Human Rights and Responsibilities Act 2006 here to give some convenient access to the rights accorded there. Obviously people need to read the whole act to see how these rights are defined and how and if they may be enforced. All acts passed by the Victorian Parliament are supposed to be compatible with these rights. The Australian College of Mental Health Nurses (ACMHN) joins the Royal Australian and New Zealand College of Psychiatrists’ (RANZCP) in condemning the recent announcement by Queensland Health to introduce ‘lock-up’ security measures to all adult mental health hospital inpatient facilities in Queensland, and the expansion of the use of ankle bracelets. The author of the article suggests that the rule of law and federalism are no longer operating in Australia. 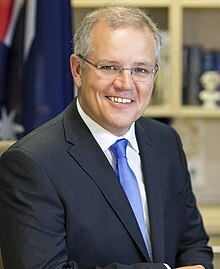 As a result of three decades of Australian governments enthusiastically embracing neo-liberal capitalist policies, power is now concentrated at the central level. Government captured by the few: the two major parties in collusion with big business nationally and internationally. With no indication from the Australian people that they seek the radical systemic reforms required to reinstate federalism and reclaim a fairer and more just society, only small steps towards reform appear realistic. The revision of the Preamble to the Constitution as a precursor to further constitutional change and the reassertion of state powers supporting of local power are suggested as first steps. While our government is condemned as being heartless and lacking compassion for asylum seekers, it must be considered in a national and global context. No human being is illegal? New wave of asylum seekers could be coming our way. According to the Australian Greens, Australian society, culture and the economy has benefited, and will continue to benefit, from immigration of people from around the world. They are also lobbying for the planning for climate change refugees with a particular focus on the Asia-Pacific region. We still haven't, despite advances in science and technology, solved the limitations of nature, and we still can't harness extreme weather or reign in natural disasters. Read more about No human being is illegal? Some argue that our survival depends on an extension or restoration of what we deem as human "rights". But what if the sum total of individuals exercising their "rights" results in the net loss of our collective rights? Or even the extinction of our species? In a world of nearly 7 billion people can there be any pro-create "right"? What Isasc Asimov said of democracy can be said of rights and freedoms. Inevitably, they will be the victims of overpopulation. As Wendy Kellett remarked, "The more crowded we become, the more governments will police our behaviour and restrict our movements and activities: this will be the end result of the laissez-faire ideology which dominates economic and social policy." Australians have found it very hard to protest against high immigration because of constant subtle messages from government and media implying that they had no right to object. They have been given the idea that there was nothing special about them that gave them the right to object. They only lived here. Although only Australians might vote in governments, the importance of this was subsumed to a cult of plutocracy, where governments prioritised commercial and corporate demands over the wishes of the actual electorate. The mainstream press (the ABC, the Murdoch Press, the Fairfax Press) promoted a cult of elite authoritarianism and the official alternative press never really encouraged questioning of this process on issues of real dissent. And the elite authorities all endorsed 'multiculturalism'. The Universal Declaration of Human Rights, adopted by the United Nations in 1948, is a crucial document. The first 21 Articles of the Declaration all profess classical Western rights, also called liberty rights or “negative rights,” including the right to private property, freedom of speech and equality before the law. Universal human rights are contrary to human nature, over-ride national and individual rights, fail to consider the finite nature of our planet, the limitations of multiculturalism, and the "success" of the human species. Neighbours Israel and Palestine share long overlapping convoluted histories dating back to the ancient Canaanites, Egyptians, Hittites and Hebrews. Successive wars and empires has seen control and power in the region change many times and also the territorial divisions by the conquerors. Might has ruled and been the recurring theme shaping the borders, not unlike other places of human occupation world over. Despite a history of persecution of the Jews, Israel's current persecution of Palestinians demonstrates the relativism of conquest. The plight of the Jews and the power of the Jews seem to be a recurring unresolved pendulum of extreme power, extreme views and extreme consequences...throughout Jewish history. Lessons need to be learned to stop this self-defeating pendulum. The author responds to news of some so-called 'Green groups' preventing discussion of population numbers as a factor in carbon emissions. "Women should have the right not to have children. But they have no right, in the context of overshoot, to have as many children as they or their husbands want. The “right to choose” cannot be the right to abuse. Even the most jealously guarded right must be measured against equally fundamental rights, most especially the right of our species, and others, to live." Read more about Who Is Coercing Whom? Rudd recently said that Australia "will continue to be a nation of immigrants into the future." This remark prompted discussion on environmental lists about the PM's brain-box or sincerity because people wonder if he seriously contemplates indefinite exponential immigration. In fact there has been a barrage of similar material on the media from various officially anointed 'authorities', coinciding with Kelvin Thomson's recent criticism of government engineered population growth. The growth lobby is also taking advantage of the situation to market nuclear power as an inevitable, with no more interest in whether we can afford it than they have shown in the other costs to the public of their high immigration fetish.See also: "Nuclear power, totalitarian spin and overpopulation in Australia", "Bernard Salt on the Population 'debate'> and See also "Ziggy Switkowski, Population Numbers and Nuclear in the Australian"
Michael Hocking of "Axe the Tax" writes "Brumby’s Labor Government is stealing our homes. If this tax doesn’t affect you yet, you need to ask 'What if they decide to do a similar thing to the homes in my area?'" The growth areas tax is to be imposed on land rezoned from rural to urban by a stroke of the government pen. Rates and charges for water and power as well as land will skyrocket with the rezoning, driving out any decent person attempting to preserve bushland or produce food or live out retirement on a fixed income. Hocking describes how farmers will not be able to afford to sell, because of the tax, but, when they die, their children will have to pay the tax - $95,000 per ha -. In a divorce settlement, the same thing will apply. What next? A tax on the head of each child? We publish and answer here pro-rally comments from "Jack," accusing "Greenies" of violence. Perhaps this is a classical case of "People in glass houses should not throw stones" - only who is in the glass house here? It is hard to deal with behaviour which has rightly been accused of causing threat to human life when you know that the situation which probably caused it left any protesters few if any legal or safe alternatives. Did Repco's and the NSW Government's actions place citizens in an untenable position by suspending environmental protection and democratic rights? This interesting letter about the experience of a citizen representing a group's appeal at VCAT vindicates the citizen, educates others about the VCAT attitude, and shows VCAT up. The Victorian government is further pushing multiculturalism and secularism! Human rights can conflict with each other. The right to privacy can impinge upon the right of a community to live in safety. Equal opportunity rights in employment can conflict with the need of a faith community to employ people who share beliefs or a common culture. Read more about The Victorian government is further pushing multiculturalism and secularism! Tune in to this ABC Radio interview with Ian Douglas, National Coordinator of Fair Water Use about the role of private reserves in the disappearance of water in the Darling River today, 28-7-2009. Dr Douglas's comments go beyond the immediate condition of the Darling River, into Australians' human rights and our right to change laws. It explains why the UN backs the need for a Royal Commission. Publicity is being given to this interview because of the dire need Australia has of spokespeople able to form appropriate concepts and priorities on this matter.